I just love that Santa on a Scooter (Silhouette, Lori Whitlock SVG Shop). 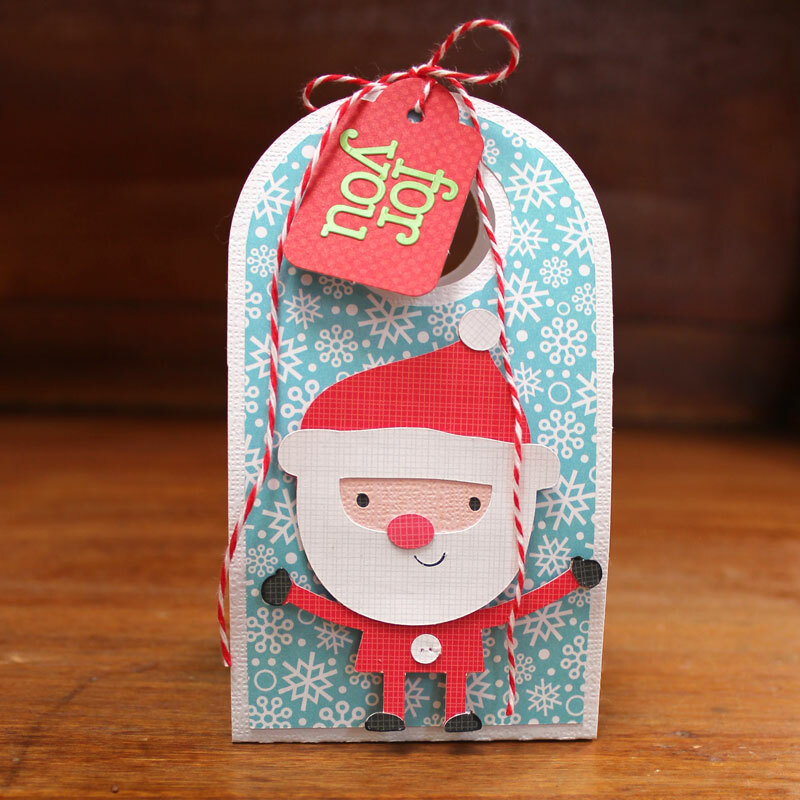 He is so fun, and the Standing Santa (Silhouette, Lori Whitlock SVG Shop) looks like he's ready to give a big hug! Here is a side view of the holders. I'm so excited for Doodlebug Cut files! They bring Doodlebug Cuteness to a whole new level! That's it for me today, thanks for stopping by to peek! These are super cute! What a great little gift. These are adorable and such a cute gift idea! 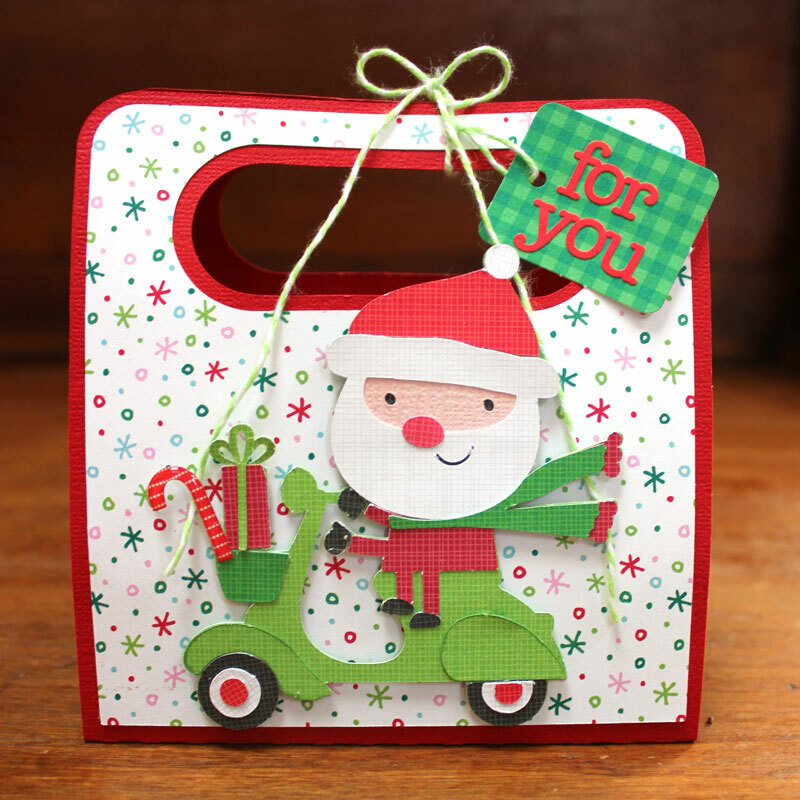 These are gorgeous - love that Santa on the scooter! Soooo cute! Beautiful gift idea too! Such a fun idea! Love the cutfiles and what cute projects you made!! 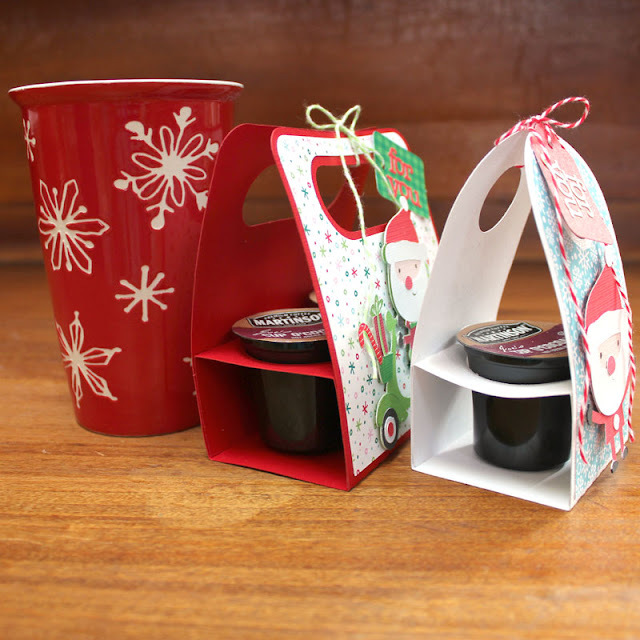 Who wouldn't LOVE getting one of these adorable gift boxes?!? Love those sweet Santa's! Great idea Kathy!! 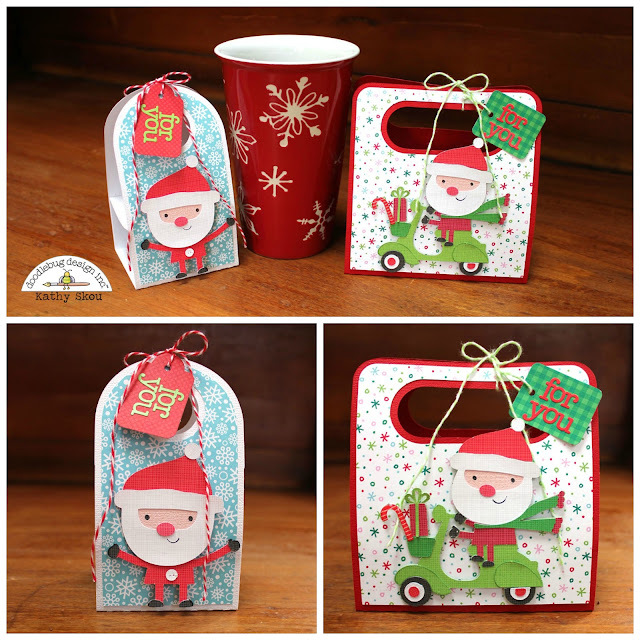 Love your holders (even if I don't have a clue what K-cups are, lol) and adore the Santa's! !